What are some of the iconic champagnes for each decade of the last 100 years? Which champagne / house is most commonly associated with each decade since the 1920s? To be clear, I'm not asking what was the best wine made in each of those decades - either drinking then or since. If you were producing a period drama for that decade, which champagne would the characters drink (or be seen to drink)? If you were hosting a fancy-dress party for that decade, which champagne would you serve? What are some of the possible iconic champagnes from each decade of the last 100 years? Before going on, I would like to define the word iconic which I would like to use as a loose model in the following list of iconic champagnes. For this decade I would like to propose any French champagne that puts Dom Pérignon into the spotlight on the label. Sources estimate that approximately 300 million bottles of champagne were sold in the year of 2015. All this champagne is made from grapes grown in a distinctive part of France, the Champagne region. This region of small 34.000 hectares received the sole right to the champagne brand once the law of 1927 was passed. The law of 1927 defined the champagne production zone and defined restrictions when making champagne. The champagne production is located just 150 kilometers east of Paris and is divided into four geographical areas. Together these areas form the Champagne region. The reason why the champagne region has been declared the only place in the world to make champagne, is due to the geographical location concerning the latitude and the changing climate, being both influenced by the continental climate as well as the oceanic climate. During the 1930s, as Adolf Hitler was rising to power in Germany, the man who would turn out to be his most implacable foe was drowning — in debt and champagne. 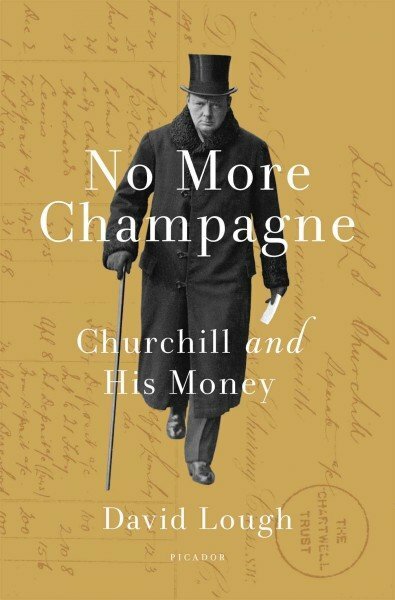 In 1936, Winston Churchill owed his wine merchant the equivalent of $75,000 in today's money. He was also in hock to his shirt-maker, watchmaker and printer — but his sybaritic lifestyle, of a cigar-smoking, horse-owning country aristocrat, continued apace. Nine-dozen bottles and seven-dozen half-bottles of Pol Roger 1895 vintage champagne, plus four-dozen half-bottles of the 1900 Pol Roger vintage. In the first weeks of the occupation, more than 2 million bottles of wine were stolen by Germans. It was comparable to full scale looting of the sort seen after natural disasters and coups, but in this case it involved some of the most storied vineyards in the world and Moët suffered more than most. 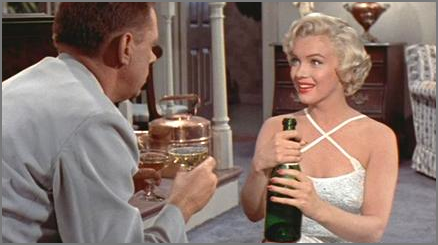 The champagne brand of choice for Marilyn Monroe, Marie Antoinette and all the stars at the Oscars, Piper-Heidsieck champagne is one of the most iconic luxury brands and a favourite among fashion and luxury lifestyle brands. So no wonder it's still doing rather well today - after all, how many brands can say that Marie Antoinette was their first brand ambassador? There is even a Marilyn Monroe Champagne Cocktail Recipe. 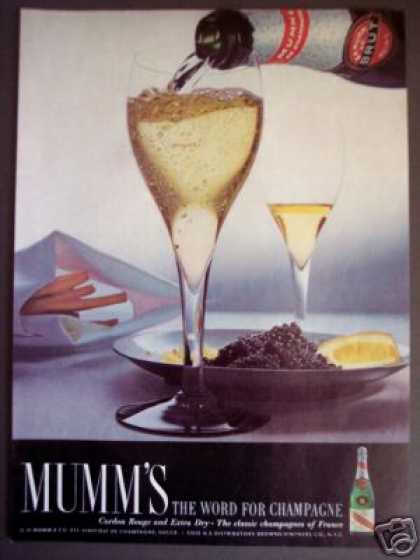 For the 1960s: Mumm: For the Coupe! Going to put the Mumm champagne for this decade. Some may say something else, but I like the Mumm champage in coupe glasses. What about the Mumm champagne in coupe glasses? In 1914, Kate Moss also had a champagne glass modeled after her left breast while pregnant. To celebrate Kate Moss 25 years in the fashion industry, a champagne glass moulded from her left breast has been created. Forty-year-old Moss has teamed up with a sculptor and a London restaurant to create the unique champagne glass in her honour. Bollinger champagnes have appeared in 14 James Bond films, dating back to 1973's "Live and Let Die." Dom Pérignon was served at the royal wedding of Prince Charles and Lady Diana in 1981. A special insignia just for this event was put on the bottles of the 1961 vintage that was served. No New Year's Eve would be complete without welcoming the new year (and bidding an enthusiastic farewell to the prior year) with a bottle of bubbly. It's the stuff of celebrations and special occasions, and it's such a big part of holiday traditions around the world that about 25 percent of all champagne is sold in the days between Christmas and New Year's Eve. 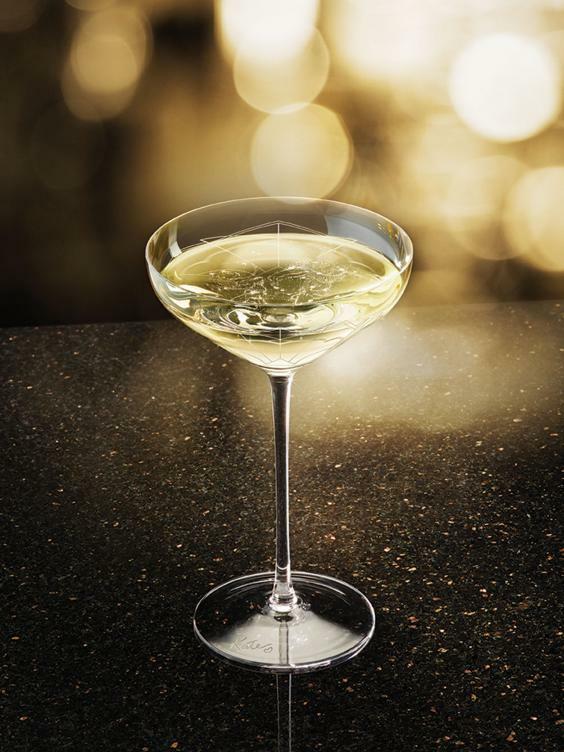 Just what is it that makes champagne the perfect New Year's drink? You might be surprised. Champagne became the drink of choice at a huge number of landmark celebrations, from royal weddings to the scaling of some of the world's toughest mountains. It then also became linked with New Year's celebrations, which started first with Julius Caesar. It wasn't until the 1800s that staying up for a midnight party became a common tradition, and we know champagne was a major part of it from at least mid-century. January 1st, 2000 ushered in the New Millennium and drinking champagne is such an iconic symbol for celebrating this event or any other celebration or party as Dom Pérignon and Dom Pérignon Rosé should be a part of it. Dom Pérignon’s vintage-only champagne has earned unquestionable prestige and iconic status for its ability to evolve while “resting on the lees”—this lets the champagne develop better textures and flavours, so the next batch of the same vintage is even more intense. These privileged points in time have been dubbed “plenitudes”, and in the case of its P2 2000—the second plenitude of its vintage 2000—can take as long as 16 years to show. 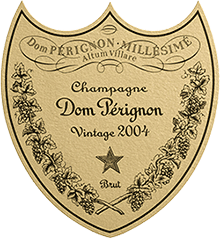 The 2004 vintage of Dom Perignon is worth the treat and is a Champagne apart from the rest with notes of marzipan and dry cocoa powder and racy minerality. The toasty finish on the palate is pleasantly unexpected. It is a really well-rounded Champagne with even darker notes on the finish with a kick of spice. The decade is not over, so let us wait a few years to truly answer this one. In the meantime I place these three champagnes temporarily as an honorary iconic examples of a champagne that is well made and bottled as preservation in obscure and precarious situations shows! 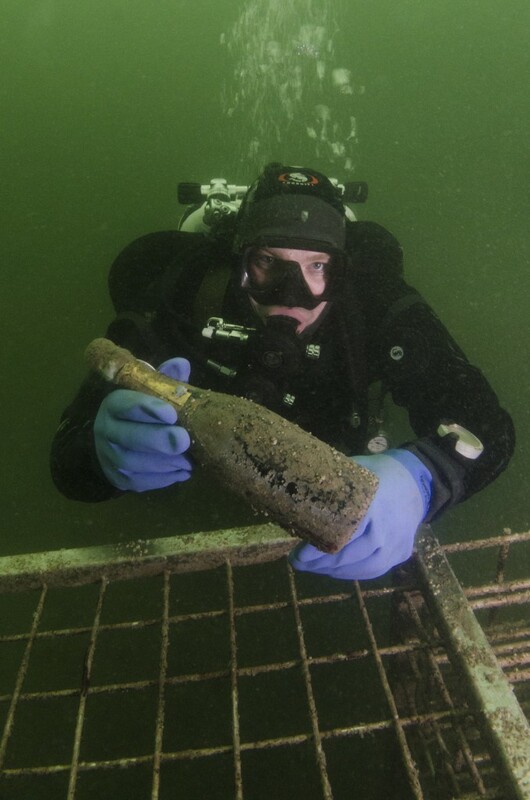 In the summer of 2010 five bottles of beer were discovered in a shipwreck in Föglö in Åland’s outer archipelago. The wreck contained 145 bottles of champagne and five bottles of beer from the 1840s. Owing to the constant temperature between four and six degrees, the dark surroundings, the pressure inside the bottles and the pressure at the bottom of the sea, the champagne was in extremely good condition. Each bottle was uncorked, tasted and classified by international expert Richard Juhlin. Not the answer you're looking for? Browse other questions tagged champagne or ask your own question.